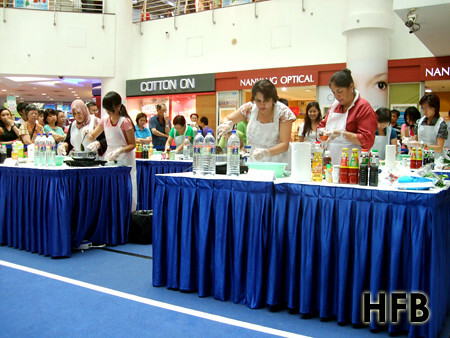 Sunday afternoon at White Sands was buzzing with sights and sounds for the preliminary round of “Cooking Up A Storm”, the Thai cooking competition as part of Asia Malls, Food On Parade activities. 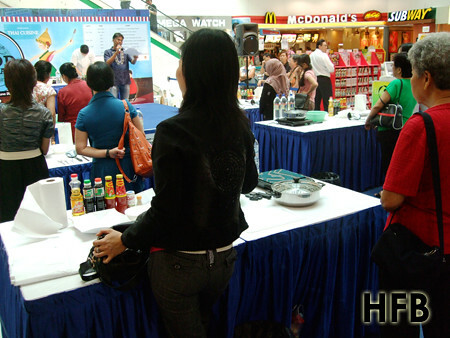 After a short briefing by the emcee and armed with $20 NTUC voucher, 5 two-pax teams set off for their 30minute shopping spree with the knowledge that Lemongrass was the secret ingredient of the competition (i.e. 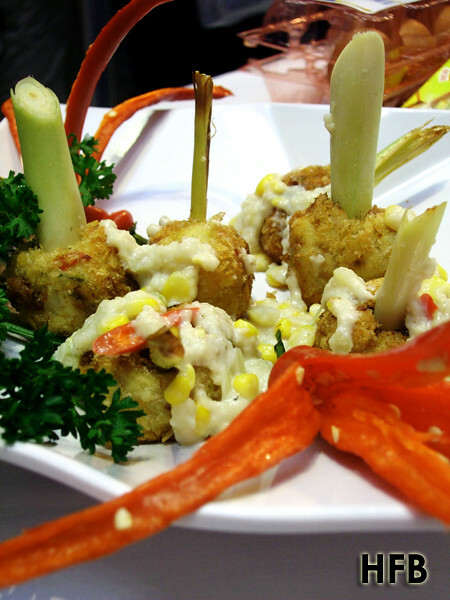 every team needed to use lemongrass as a ingredient in their dish). 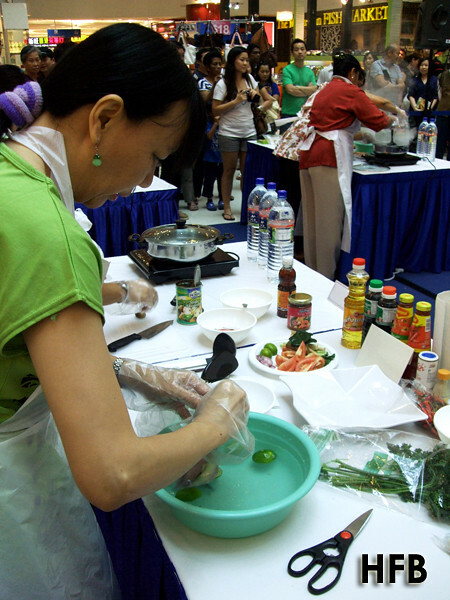 Each team had to cook one dish that matched the theme, of which was Thai. 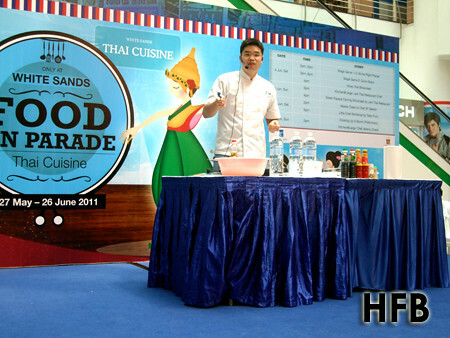 While waiting for the participants to arrive with their loot, a short cooking demo of Pad Thai by Chef Jeremy Cheok, Chef Instructor at ToTT Store took place. 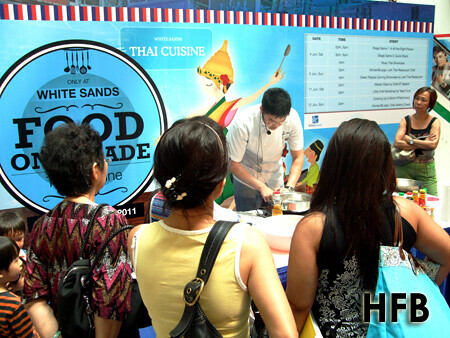 It was an instant hit as almost immediately, the cooking demo attracted a swarm of enthusiastic crowd who gathered closely around him. 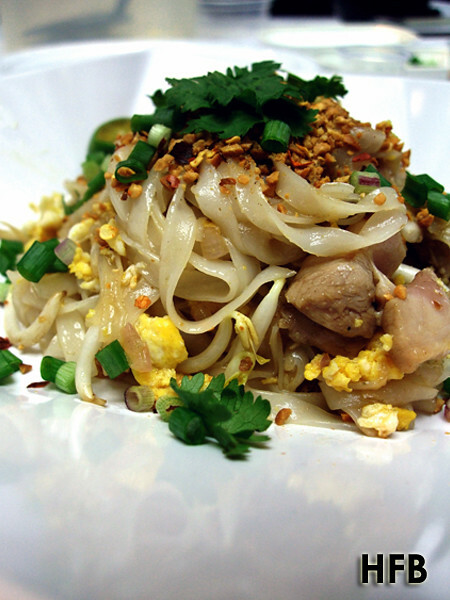 With a quick toss and a good stir, the noodles were ready within minutes. 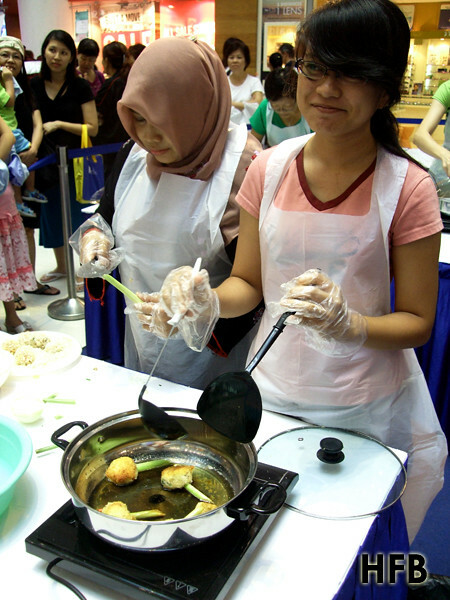 Following after, participants were back with the necessary ingredients and soon proceeded to prepare their dishes. 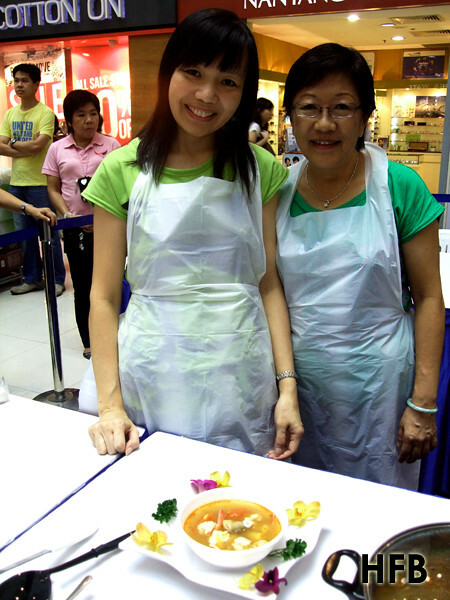 She was the youngest participant in the competition and HFB had good vibes about the dish she churned out with her mother. This team was the only one who bought flowers as decoration. 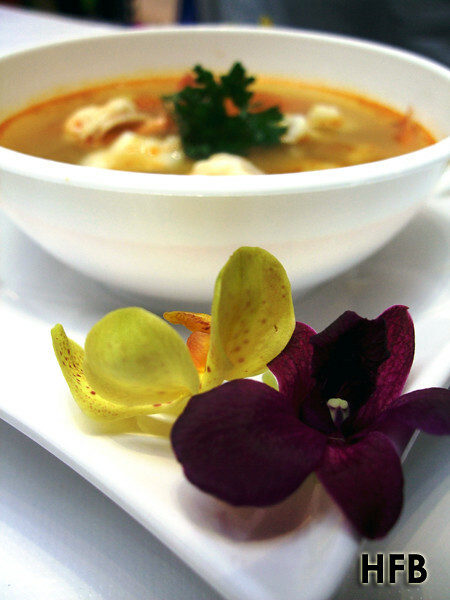 Don’t you think it made their Tom Yum Soup visually more appetising? 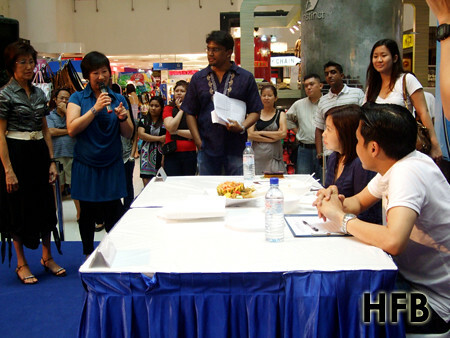 Contestants were then made to present their individual dishes to the judges. 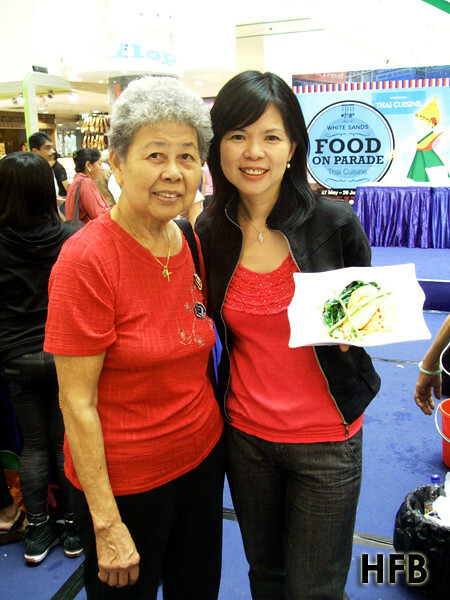 Congratulations to Team 5 of Ms Rosalind Howe and her mum who were eventually crowned the winner for this leg of the competition. 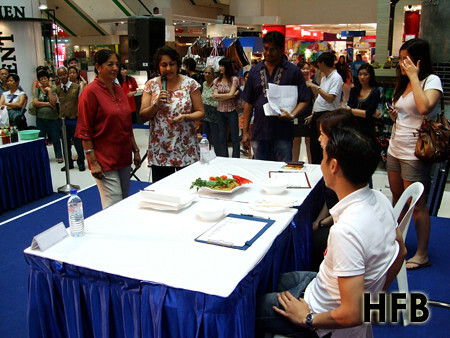 Their healthy creation of fine Thai cuisine dish of Pan Seared Chicken Breast with Green Curry Gravy had lots of greens and got the approval nods from the judges. 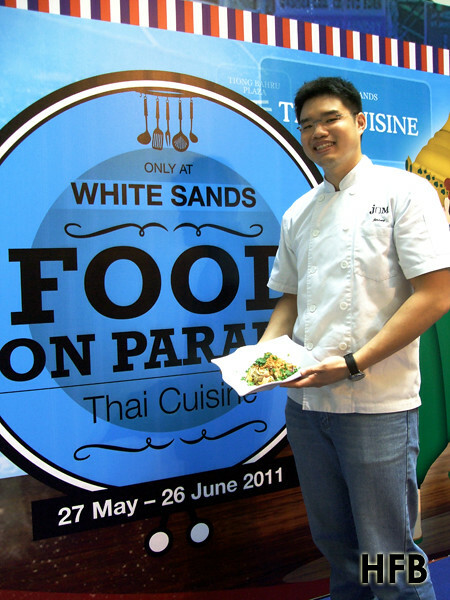 They would be representing White Sands to compete in the final leg of the competition at Liang Court on 25 Jun (Sat), where the champion would walk away with $2000 cash. HFB is pretty confident that they would shine as long as they have their lucky charm with them, heh. He would be rooting for them come 25th. What about you?